I loved this pattern the moment I first laid eyes on it and had to make it. 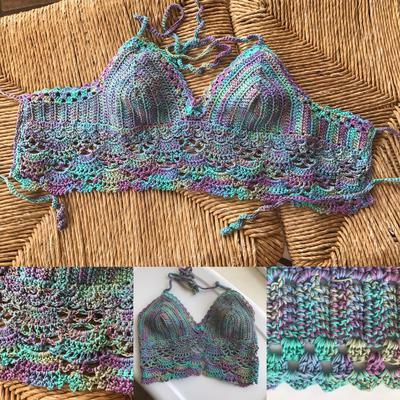 Thank goodness Girlie's Crochet instructions were easy to follow and THANK YOU for the close up pictures. Those reassured me that my version was turning out like it should. Thank you for sharing your finished project. I'm glad that you are appreciative of my efforts.